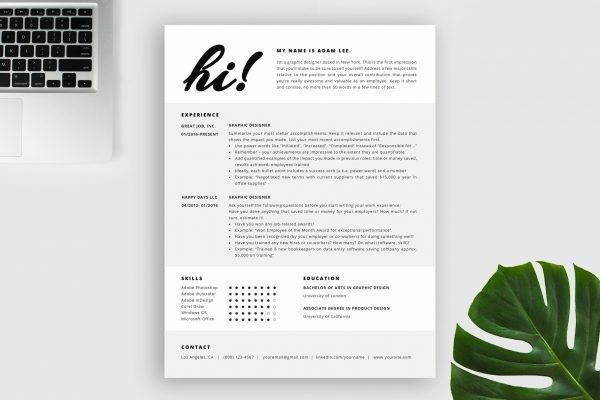 Get a head start on your job application and beat the competition with this rich resume template package! 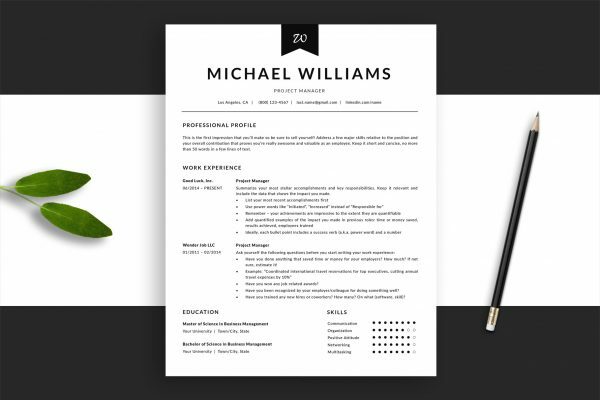 It includes complete 1, 2 and 3-page resume templates, matching cover letter and references templates, comprehensive social media icon pack (110 pieces), matching business card template, detailed instructions, resume writing guide prepared by HR experts, and a ton of tips and tricks to help you create an amazing resume. 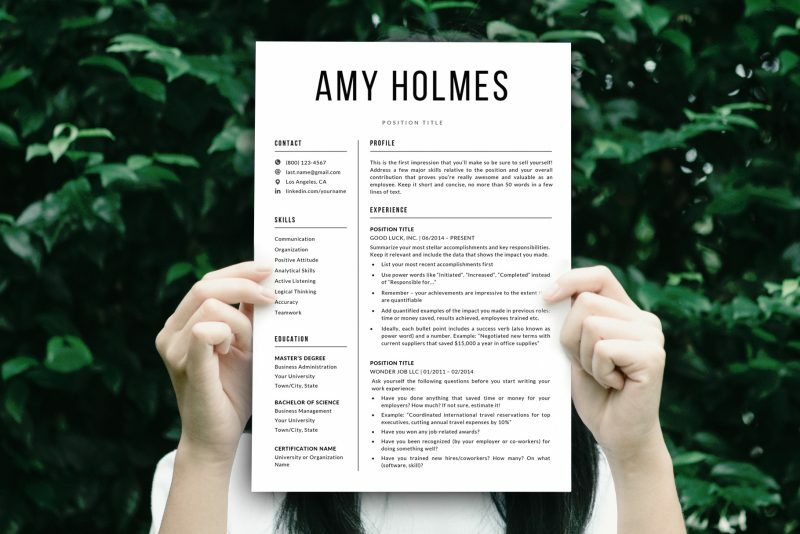 This comprehensive package includes not only professionally designed resume templates but also all the information you need to position your resume in the “YES” pile. Our experts prepared for you “The secrets every job seeker should know” – our famous resume writing guide full of actionable resume writing tips, easy to follow instructions, many examples you can use in your resume, and a ton of useful resources that will help you quickly create a resume that recruiters and employers LOVE. Curious why our resume templates perform so well? It’s no secret. All our products are carefully planned by our team of HR experts and then designed by our experienced designers – a powerful combination you’ll hardly find anywhere else. 110 social media icons (docx and pdf files) – if you need an icon that is not included in the set, let us know and we’ll create it for you (yep, for free). Carefully planned and developed by our HR experts – in order to impress other HR experts! Professionally designed by our experienced designers, tested on various versions of Word and Pages on Windows and Mac. We take our products quality seriously. Microsoft Word (for Windows or Mac) OR Pages (Mac). Both programs will do the work, although in general, we recommend MS Word because the templates were created using this software. A personal computer is also required – most work/public computers, tablets and phones can’t install fonts. Pages for Mac is free on the App Store. Important: The resume templates are not compatible with OpenOffice and Google Docs. Congratulations – your resume is ready! You can print or save it as a PDF file. Repeat the same process with the cover letter and references templates if needed. We are confident our templates work and that’s why we offer a 100% satisfaction guarantee you’ll hardly find anywhere else. 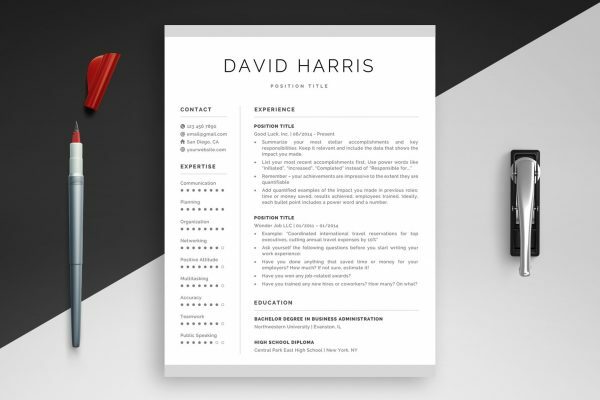 If our resume template is not working the way you think it should, we’ll review and rewrite your resume. For FREE. Test our template for 30 days (starting from the date of the resume template purchase). If you are not happy with your resume performance, you have a week (7 days) to request a free review and writing service ($150 value). Yes – our team of professional resume writers will review and rewrite your resume free of charge following the best resume writing practices. How to get a free resume review and writing service? Simply email us at support@templatehippo.com and include the number of your order, link to your current resume in a docx format plus any additional info that may help us create a perfect resume for you. How much does it take? We do our best to work as quickly as possible, and once a resume review request is submitted, the writing process will take no more than 7 days. The updated resume will be sent to your email address. One more thing: Our guarantee is a handshake – a promise that we’ll be fair to each other. So you can’t get a free review and resume writing service if you received our templates free of charge. You also can’t get a free review and writing service for one specific product more than once. Sounds good? Test this gorgeous template now, risk-free. Note: Images/Mockups are used for presentation purposes only and are not included in your purchase. I’ve tried several different templates around the web and I’ve found this one to be the easiest to use and it does the best job. Not to mention this is the only one that has a resume writing guidance. Great product. It really saves me time and effort and my resume looks so much better now. Thank you! The design is crisp and the files are easy to edit. The extra resources included are very helpful. Recommended.